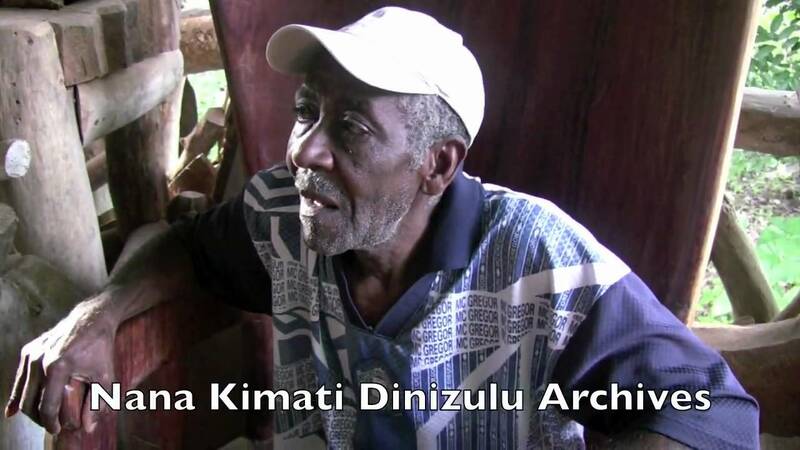 This video is an excerpt of a rare interview conducted by Nana Kimati Dinizulu on Gilbert Nicely, one of Jamaica’s most esteemed artist. Filmed on location at Gilbert Nicely’s workshop in Saint Mary, Jamaica, West Indies, December 2009. Gilbert Nicely is a Jamaican self taught sculptor who lived and works in the parish of St. Mary, Jamaica, West Indies. The rich vegetation of that parish is the perfect harvesting ground for his creations. This chair was carved from the root of a cedar tree which was uprooted by hurricane Ivan in 2004. Gilbert Nicely has come to be regarded by many as one of Jamaica’s leading wood sculptors of hand carved furniture and functional art. As an intuitive artist, he started out in the 1970s as a cabinetmaker. The following are some of the awards that he has won. Third prize in 1972 for the Jamaica Festival Competition held under the auspices of the Governor General. Bronze Medal in the Jamaica Festival Fine Art Competition 1976,1986,1987, 1988. Gold Medal and Merit, Ocho Rios Branch Library Exhibition in 1977. Bronze Musgrave Medal, Institute of Jamaica in 1977. The work of Gilbert Nicely has been in public and private collections and has been displayed in exhibitions and fine homes worldwide. Paper Trail….A Forensic Examination of the Trans Atlantic Slave trade.